Additionally, EBAN is involved in diversity initiatives related to Elon University, including collaborations with current students through the Center for Race, Ethnicity and Diversity Education, the Phillips-Perry Black Excellence Awards, and the Donning of the Kente Ceremony. All black identified graduates and students who complete at least one semester of coursework at Elon are considered members of EBAN. There are no dues to join. But don’t stop there! 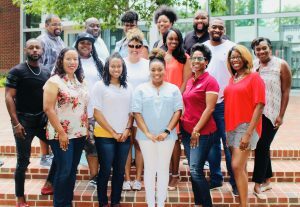 You are invited to join an EBAN committee or contact Deidra Smith, associate director of alumni engagement, about joining the leadership team. Also, remember to join our Facebook group for updated information about events and programs.